I can totally get on board with this whole “new year, new website launch” thing! Back in October of 2016, when I was very pregnant, I was introduced to Allison and her team at Sonoma Harvest. At the time, we were just meeting, getting an idea of their upcoming marketing plans and checking out their newly-designed tasting room and facility. A new website was definitely in the works, but not quite right at that moment, which was actually ideal, on account of that whole ‘having a baby’ thing I had going on. But after I met Allison and saw (and tasted!) the products, I knew I wanted to be involved with their new website. Luckily, Allison felt the same way, so when the time came for a new website, she sent me a note and we hit the ground running! Creating a website that matched the Sonoma Harvest vibe was step one. I designed and developed the custom WordPress website with a fun blog for recipes and news before I turned my attention to the online shop. 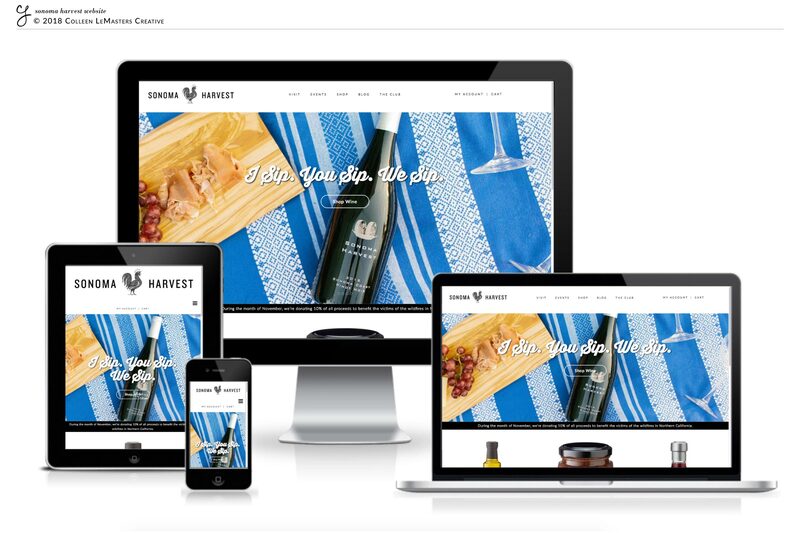 Their ecommerce website was then coded to match the new design of the core website, within the parameters of VinSuite’s winery-focused CMS, which allows them to easily manage their orders and club shipments. One of the main things that Allison wanted was a clean site with really rich images, so that was at the center of my design and I’m super pumped to share it with you. 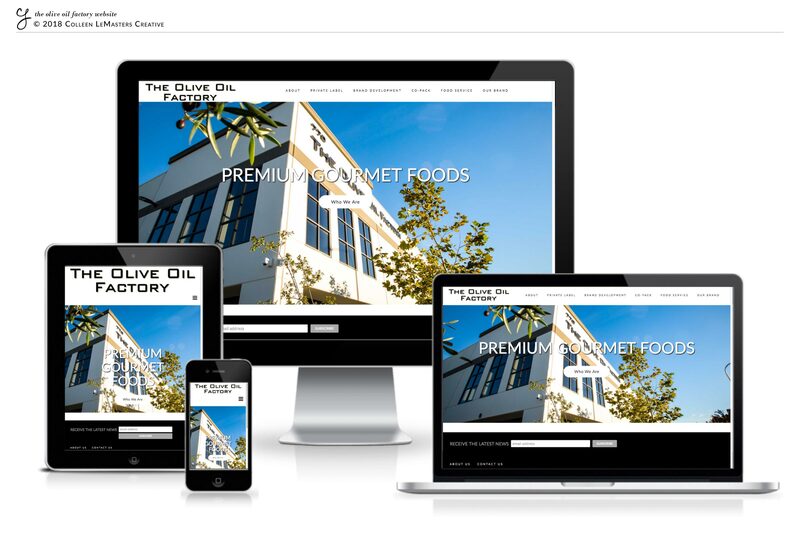 I’m also excited because this website launch includes the website for the other arm of Allison’s family business, The Olive Oil Factory. The Olive Oil Factory uses roughly the same architecture, look and feel, but with a few modifications that make it unique and give it its own identity— the perfect solution for a company balancing two brands! I am also pleased to report that plenty of “research” was conducted and I highly recommend their D’Anjou Pear White Balsamic Vinegar. Yum.